We ask some previous customers to provide us with some feedback on our services. 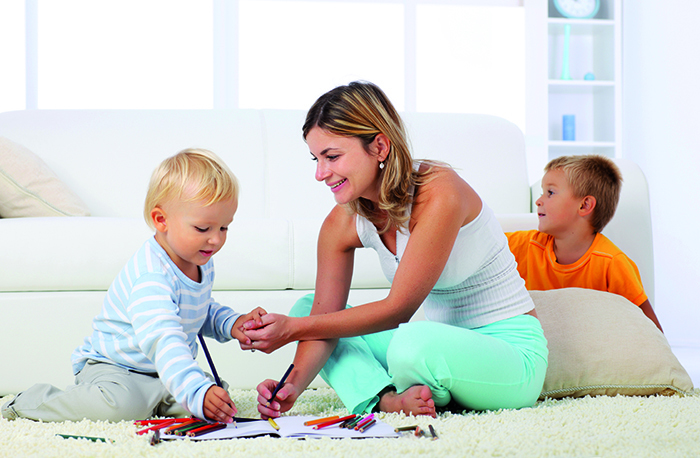 We would like to express our heartfelt thanks to you for the excellent service that we have received from Imms Carpets. From the moment that you came to our house and bought so many samples for us to view, through to the day of fitting, it seemed as if nothing was too much for you. The help and advice that you gave us in choosing the correct carpet for our budget was such that we have never encountered before, even from the huge names in domestic carpet retail. On fitting day, the task of moving furniture was completed by your two men without complaint and really speedily. 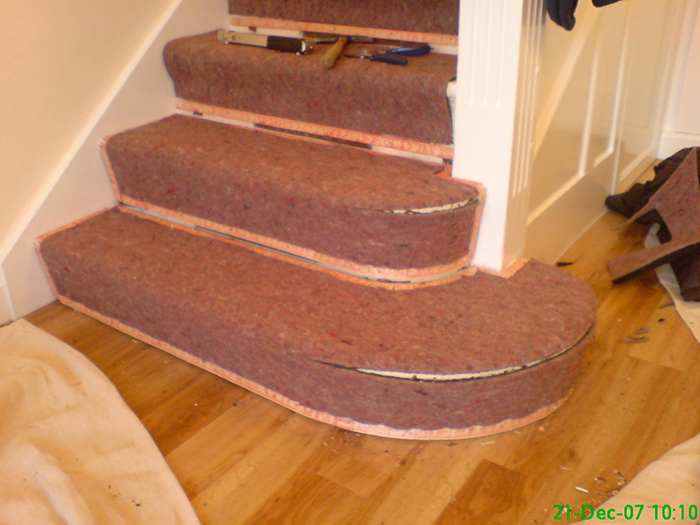 The carpet and underlay was fitted quickly and tidily and the whole room "put back together" before they left. A wonderful job completed! We have no hesitation in passing on your details to all of our friends.... many of whom are envious of the service that we received. 1. You were helpful with carpet selection - quality in particular. 2. You were competitive on price. 3. You were flexible about splitting the fitting into two sessions a week apart to suit me. 4. You sourced the carpet in good time. 5. Your fitters were excellent at their job and left my house clean and removed any waste carpet/underlay. All-in-all, I could not have asked for more. You did what you said you would do. If you would like to use me as a referee, please ask prospective clients to contact me - preferably by email. Brilliant friendly service! That is once i eventually selected my carpet and underlay! 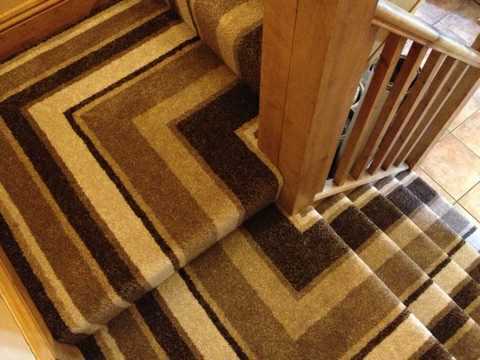 LOL If you're considering a new carpet, you'll want to make sure that it's perfectly fitted- well look no further. Recommended for complete ease and convenience, i am now enjoying my lovely new staircase. Thank you for the excellent job you made of my stairs and landing carpet, and all the time you spent helping and advising me. Nothing was to much trouble including cleaning all my brass stair rods. I had been to all the usual big carpet stores filled with people desperatly trying to sell me things i didn't want. On my way home i popped into Imms Carpets and saw Trevor. He offered a friendly and helpful service. The work was carried our on time, quickly and to a great standard. We will definitely use again and recommend to my friends. I am very satisfied and will not hesitate to use Imms Carpets again. The service was first class from start to finish. 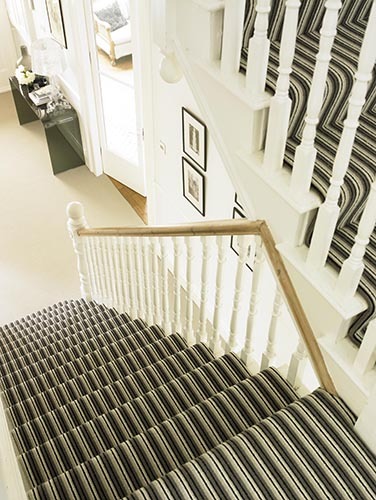 My hall, stairs, landing, lounge and dining room were fitted with a minimum of fussto a professional standard, with very little disruption, including moving furniture. Trevor and the carpet fitters were all very helpful and polite. 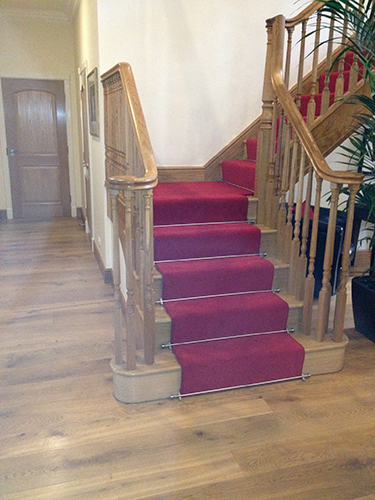 May i say we are very pleased with our carpets, the young man did a very good job. We are absolutely delighted with our new carpet. Much admired, many thanks. I wanted to thank richard for the good job he did puntually, tidily and with good cheer. It's always nice to have work done by people who clearly enjoy and take pride in their work, and he was a credit to your company.